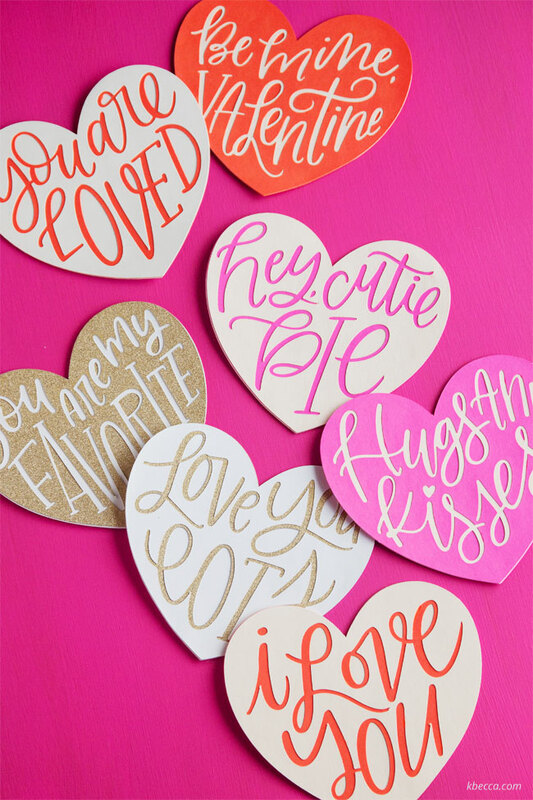 I have a bunch of new hand lettered heart cut files over on k.becca. These layered paper hearts that I made from the files can be used as Valentine’s Day cards or for lots of other paper crafts projects! ♥ Speaking of cut files, I’m excited to share that I’m one of the designers on SoFontsy, a brand new site that specializes in commercial use fonts, SVGs, and other designs for crafters! ♥ My Instagram game is pretty much non-existent right now, but I hope to change that in the coming year, and this post from The Pigeon Letters about the new Instagram algorithm changes is very helpful. ♥ Looking for winter color palette inspiration? Check out these 15 downloadable color palettes for winter from Creative Market! ♥ Ooh, I’m looking forward to checking out Craft the Rainbow, the forthcoming book (April 2018 release) by Brittany Jepsen of The House That Lars Built. I love me a good rainbow, especially when it involves crafts! ♥ Hee! These diy penguin favor bags are adorable.